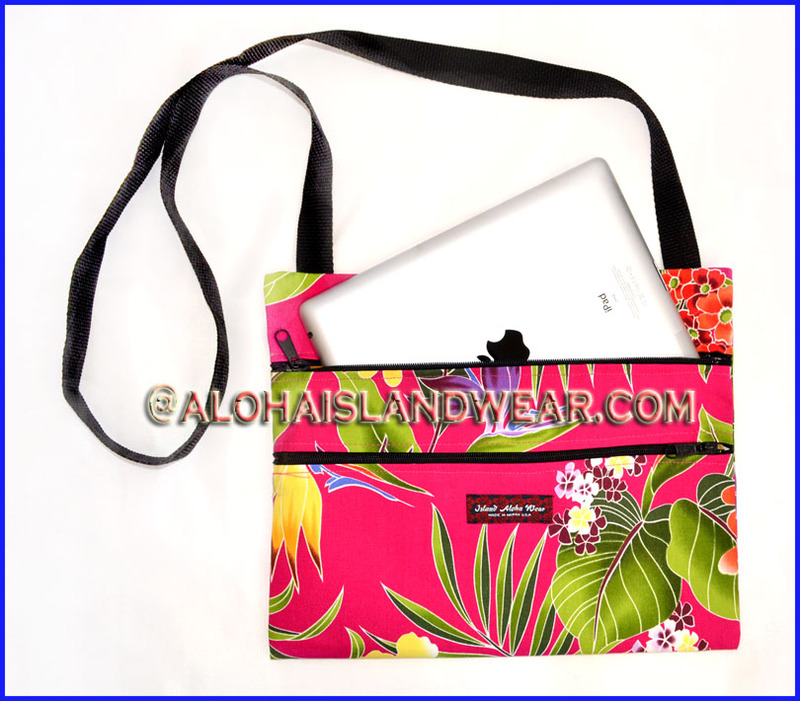 This beautiful Hawaiian floral printed cross-body shoulder bag is designed with a long black strap for wearing over the shoulder, this bag contains two pockets with zippers, it's special made to fit all Apple Ipads and most other brands tablets, great for travel and use it as your personal carry on bag whenever you go (secure your passport, money, mobile-phone, personal document, cosmetics items... and your Ipad too. - Two front pockets with zippers. - Strap drop 24" length with 1" width black strap. 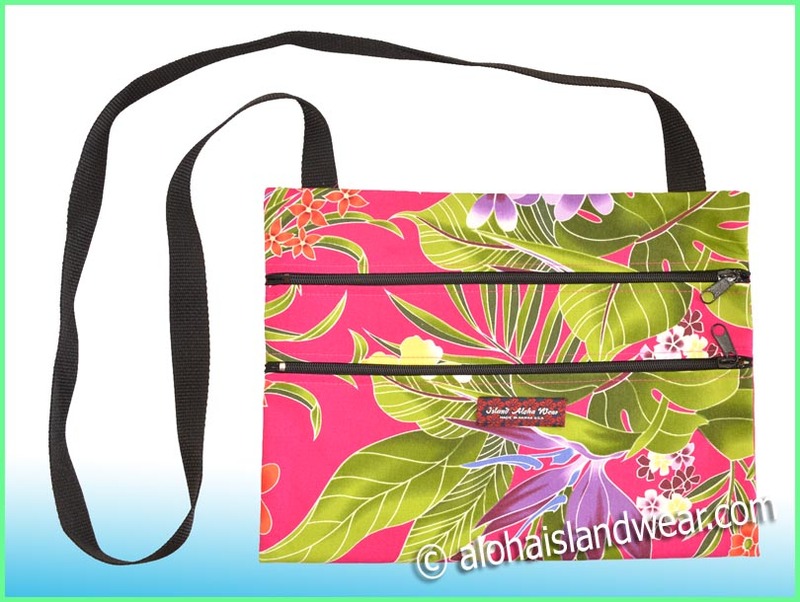 - Bag dimension: 12 1/2" width X 9 1/2" height.